Ever wonder how PAM’s Auto gets cars for parts? Vehicle is involved in an accident and declared a total loss by the insurance company. Vehicle is purchased from a salvage pool that handles vehicles from many insurance companies. Vehicles arrival daily at PAM's Auto. 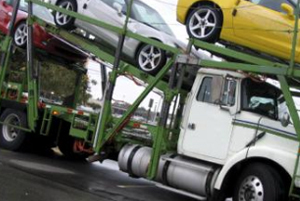 We purchase most of our vehicles in the nine state area. But... why does it matter to you where PAM’s gets their vehicles? Click here to find out!